Hair fall is becoming a huge beauty problem for a number of men and women nowadays. This is due to pollution, poor diets and excessive stress. Hair fall might seem like a mere beauty problem, but it says a lot about our diet and lifestyle as well. A number of nutrients from the foods that we eat are essential for maintaining healthy, long and strong hair. Believe it or not, you can include a number of foods in your daily meals that can help you deal with the problem of hair loss and hair fall, as well as improve the quality of your hair. When there is a deficiency of certain nutrients in your body, it becomes apparent if you have brittle or rough hair that is susceptible to frequent breakage. This light green fruit is a common fixture in Indian kitchens. Ayurveda;s favourite, we can juice this bitter fruit and even turn it into a powder and consume it. It can also be applied on the skin and the scalp as well. Amla has vitamin C and antioxidants, both of which fight free radical damage and preserve hair follicles, preventing hair fall. It might not seem very appetising, but spinach or palak is a superfood that is a must for healthy hair. It contains vitamins B, C, E as well as omega-3 fatty acids and iron too. 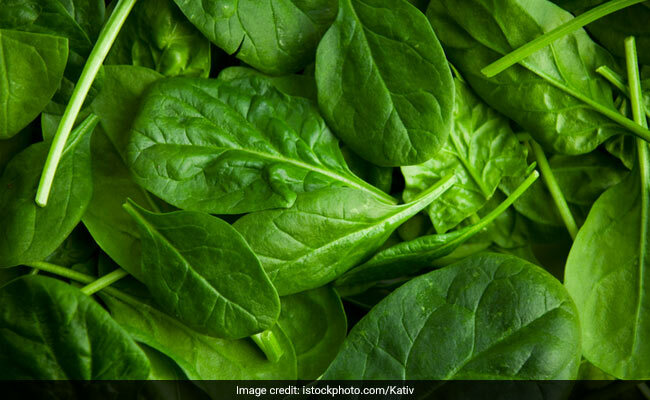 The iron in spinach helps in carrying oxygen to the scalp, making the hair stronger. Methi or fenugreek seeds are Ayurvedic treasures that are used in a number of desi home remedies. They are also great for making hair strong and promoting hair growth. They are rich in protein and nicotinic acid, both of which fight hair fall and promote stronger hair. They are also rich in a number of essential vitamins and minerals that can give your hair a natural shine and volume. Indians have a long history of cooking food in coconut oil. It is applied topically on the head as well to prevent hair fall and make the hair smoother and shinier. But consuming coconut oil may also be beneficial against hair fall, as it is rich in lauric acid, which is responsible for binding the protein in our hair, thereby protecting the hair roots from damage and breakage. Moreover, it is also rich in antioxidants that fight free radical damage. Apart from consuming these foods, one must eat foods that promote collagen production in the scalp as well as those rich in vitamin C. Cover your hair while going out in polluted areas and wash your scalp thoroughly to make sure no chemical shampoo or conditioner residue is left behind.